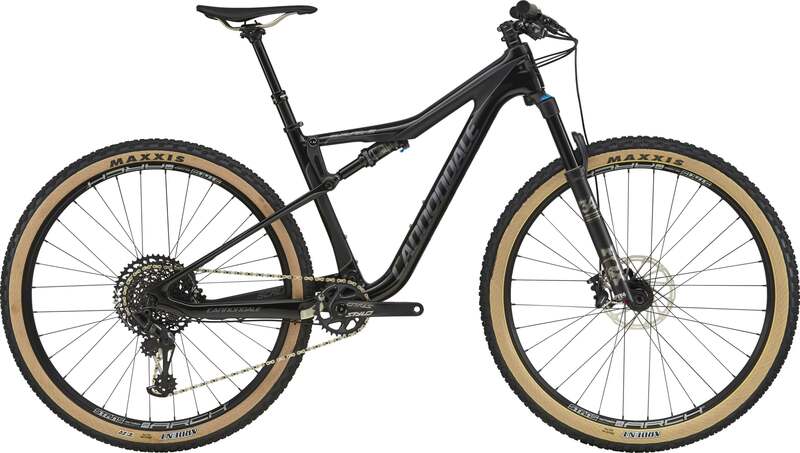 The Cannondale Scalpel SE carbon 2 2018 is one of the most versatile mountain bikes in the Cannondale range. This has a full carbon fibre frameset using BallisTec carbon fibre which results with a big saving in weight and in turn improves handling and comfort. Effieciency and stiffness is not comprimised thanks to the Zero Pivot system which is installed. This minimises lateral movement with every pedal stroke. The Scalpel SE 2 is supplied with Fox Flot 34 forks and a Fox Float Performance DPS EVOL SV rear shock making this bike ready for any terrain thrown at it. From free riding to XC racing, this mountain bike will not disappoint. 27.5' wheels are provided on the size small model and 29er wheels are used for size medium bikes upwards.